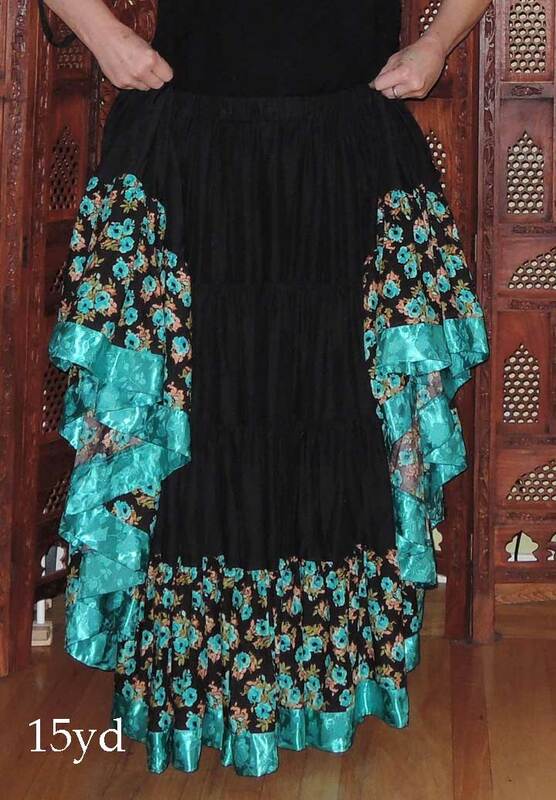 The Height of Romance! 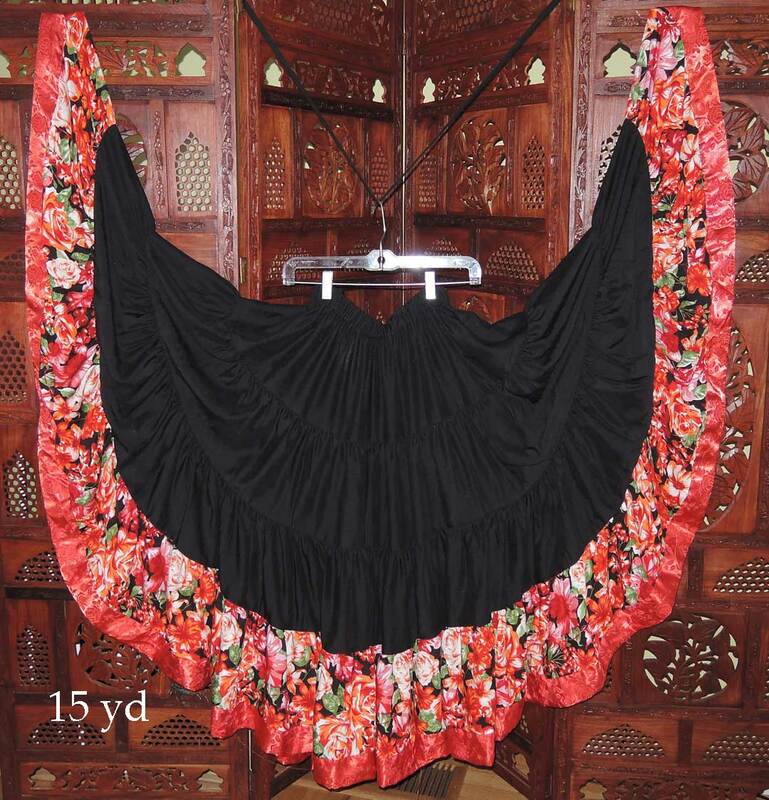 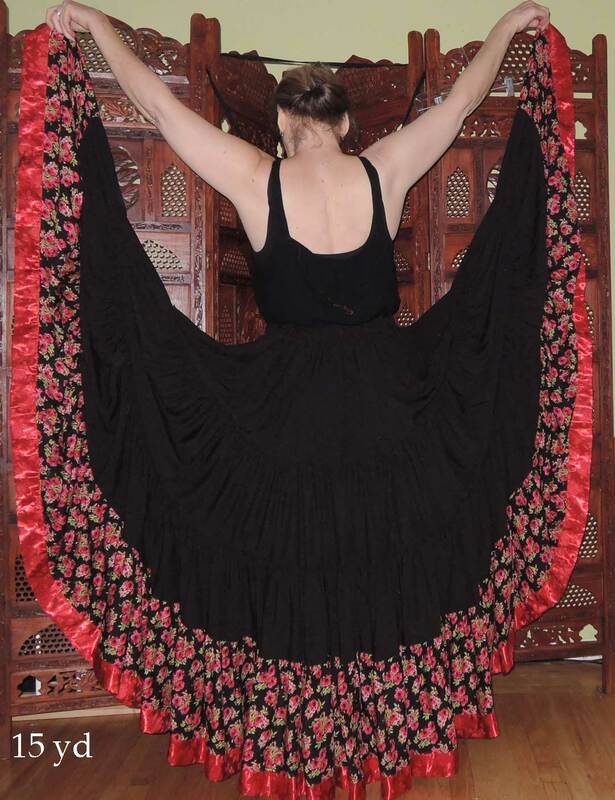 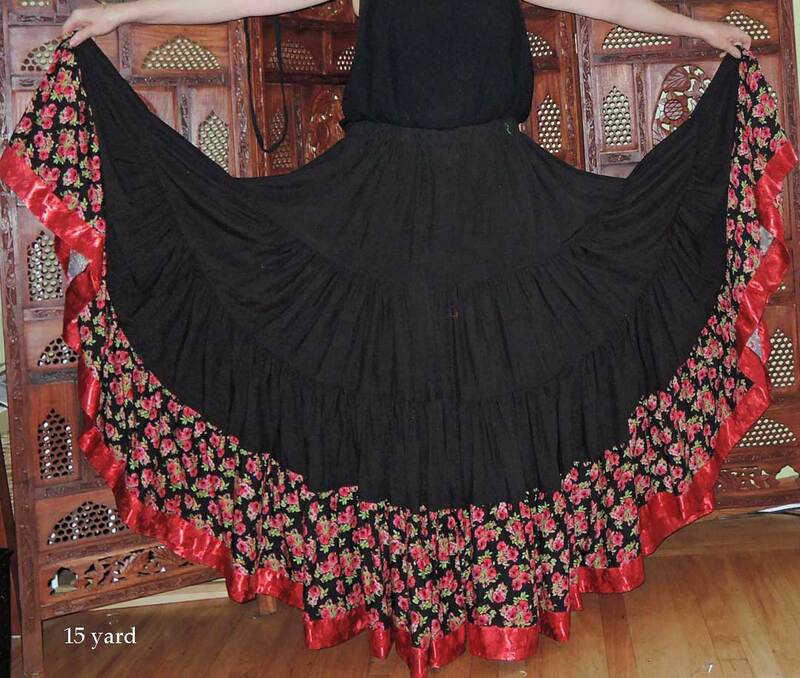 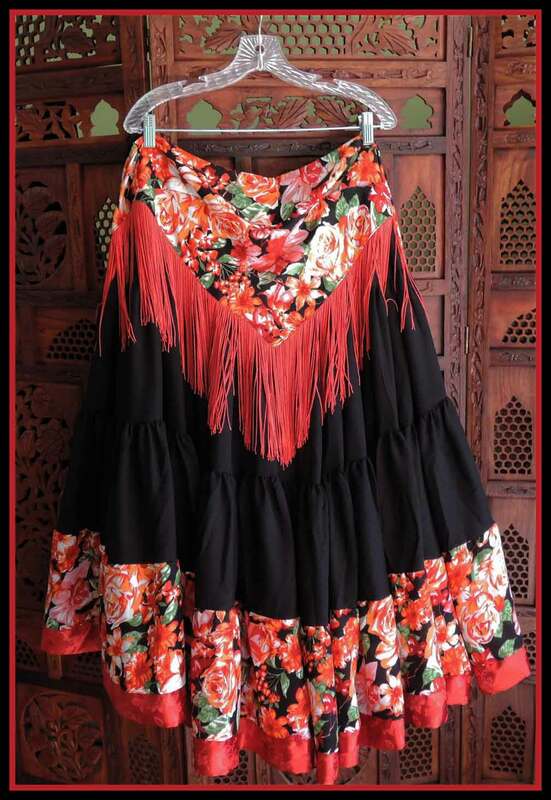 This Spinning skirt is reminiscent of Spanish dancers and Gypsy firelight. 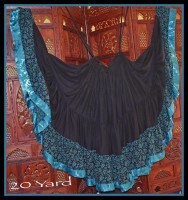 Made from responsive and flight worthy rayon challis. 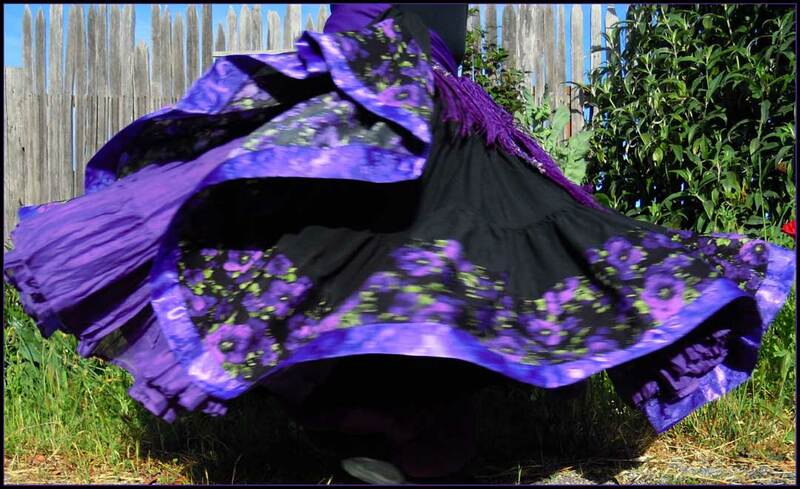 Three fullness options to choose from! 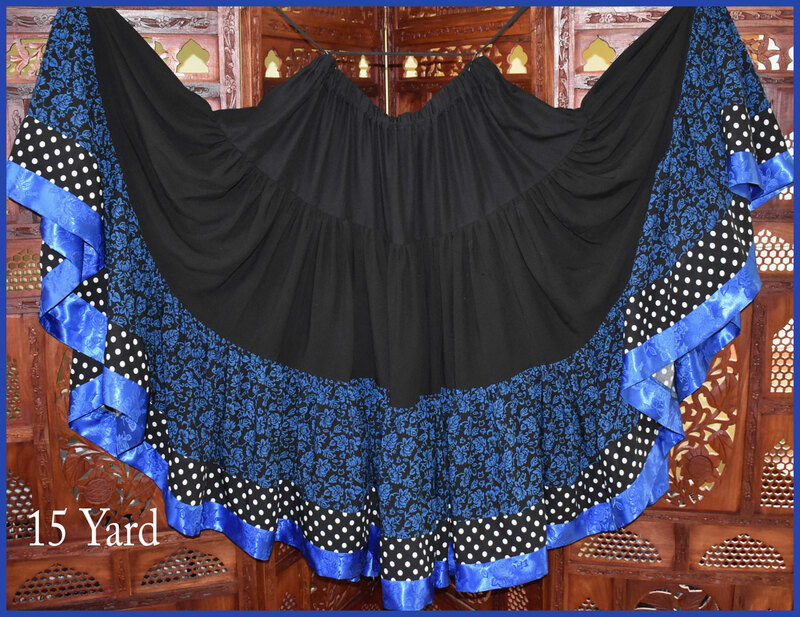 10 yards at the hem for full flight, 15 yards for more flounce, or 20 yards for maximum tucking and skirt work drama! 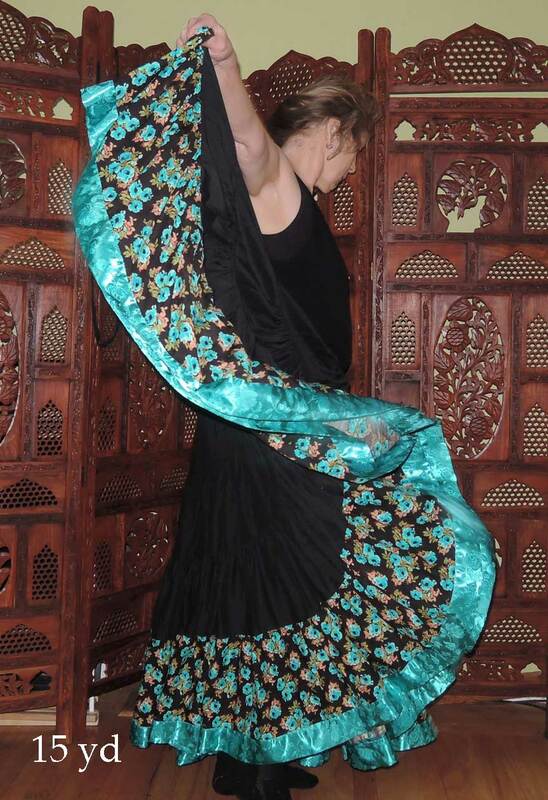 weighted with a band of satin Jacquard for effortless spinning! 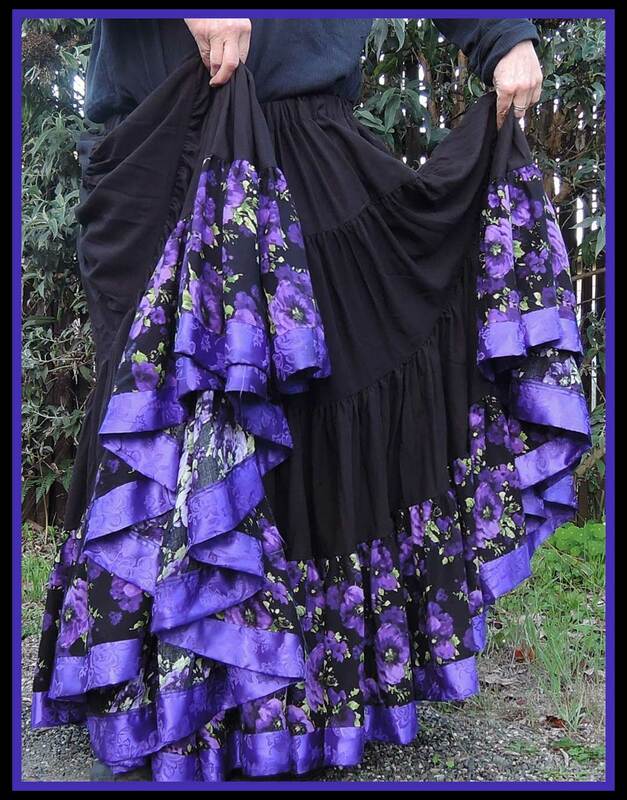 Wonderful for tucking, and layering as shown with the Gypsy Floral Wrap. 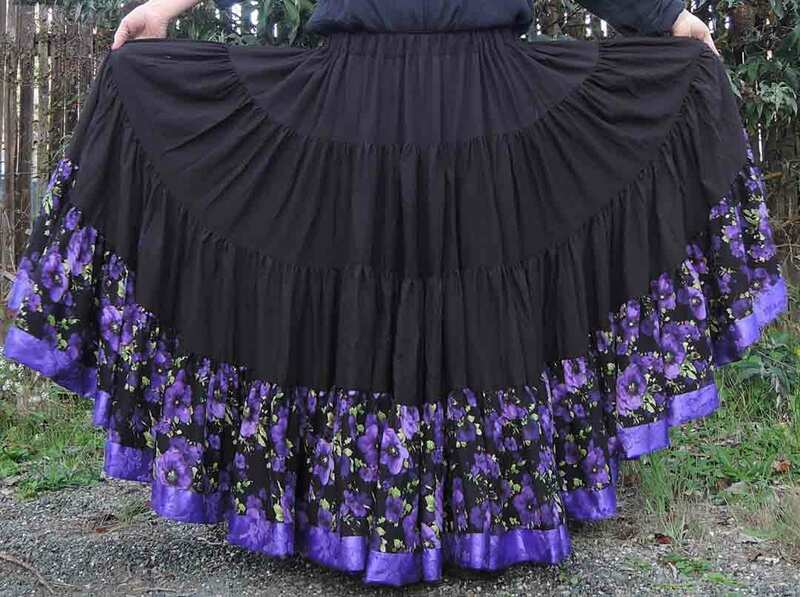 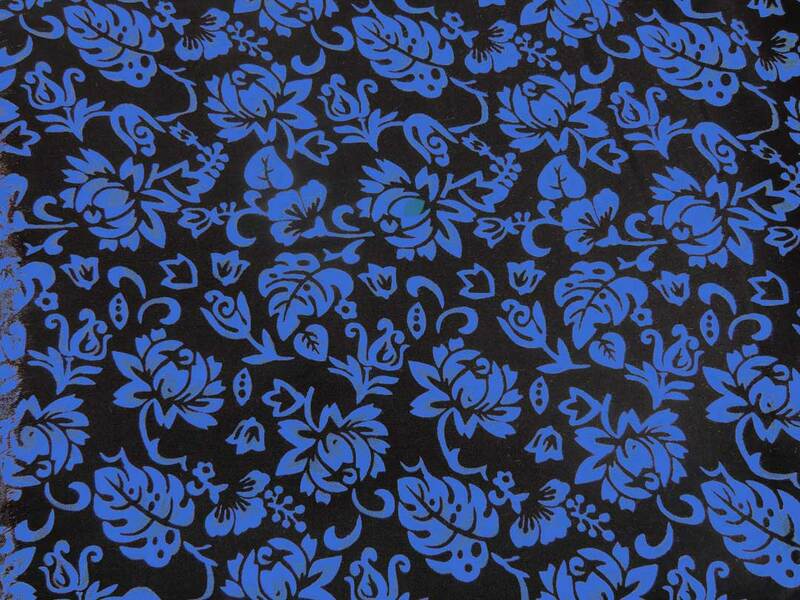 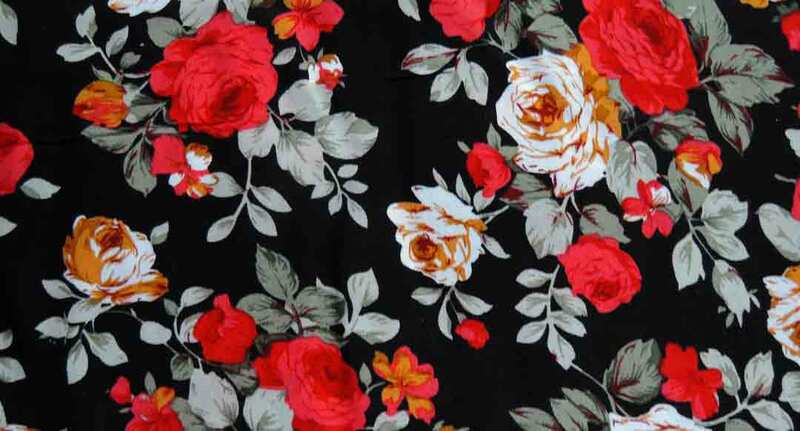 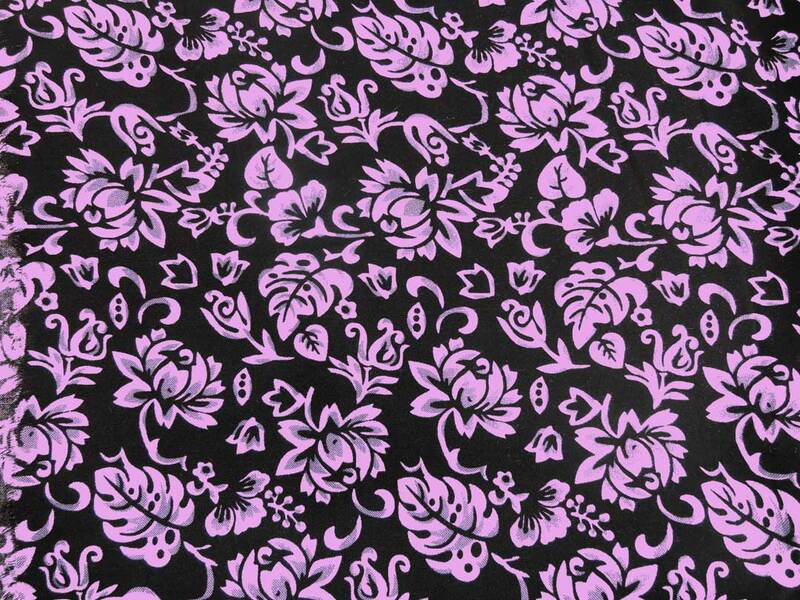 The top tiers are black rayon challis, the bottom tier is banded with beautiful floral rayon challis. 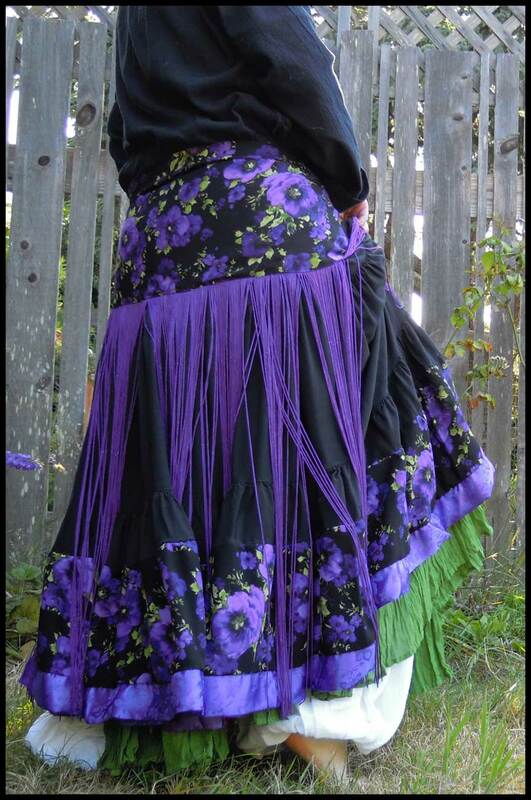 finished with a satin brocade band. 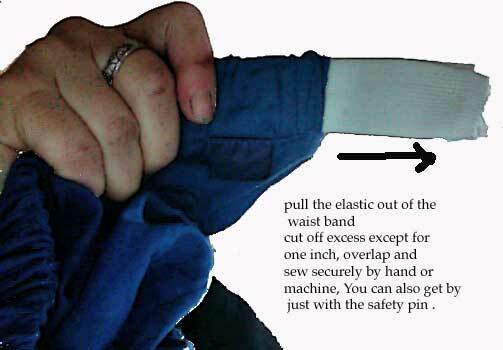 Size: The adjustable elastic casing fits hips up to 60 inches. 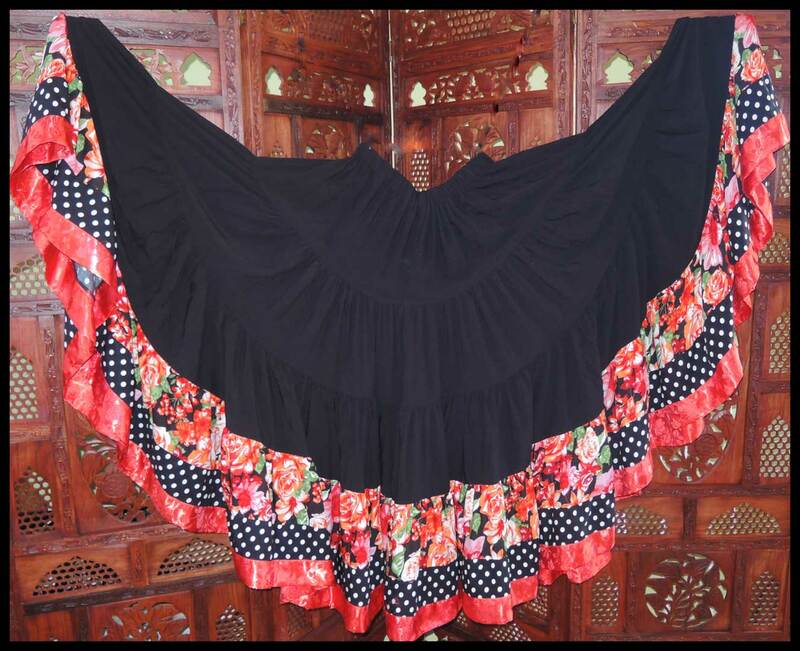 Order by Length, X-Short 32 inches, Short 34 inches, Medium 36 inches, Long 38 inches, X-long 40 inches. 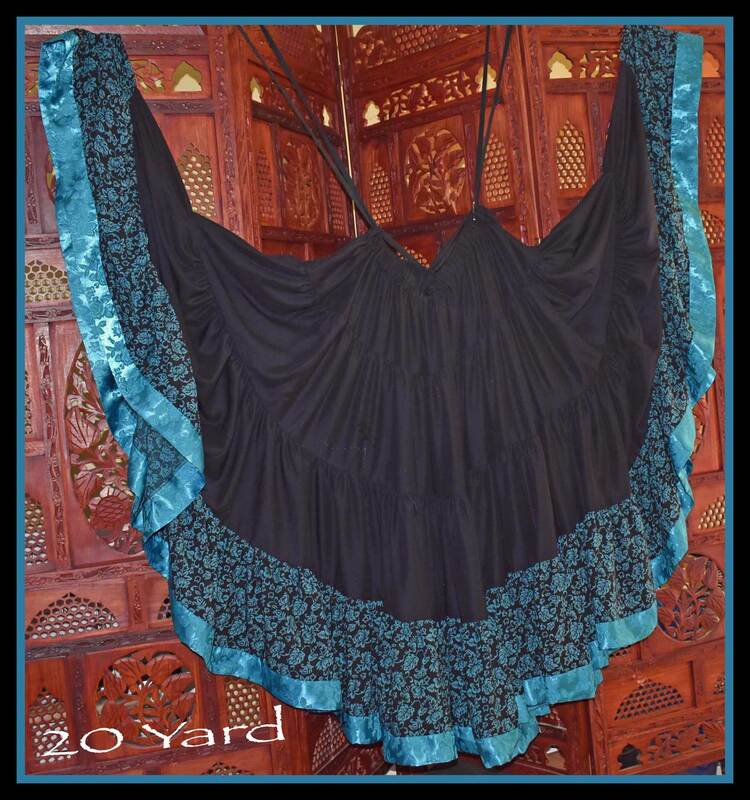 Priced according to yards at hem: $119- $179. 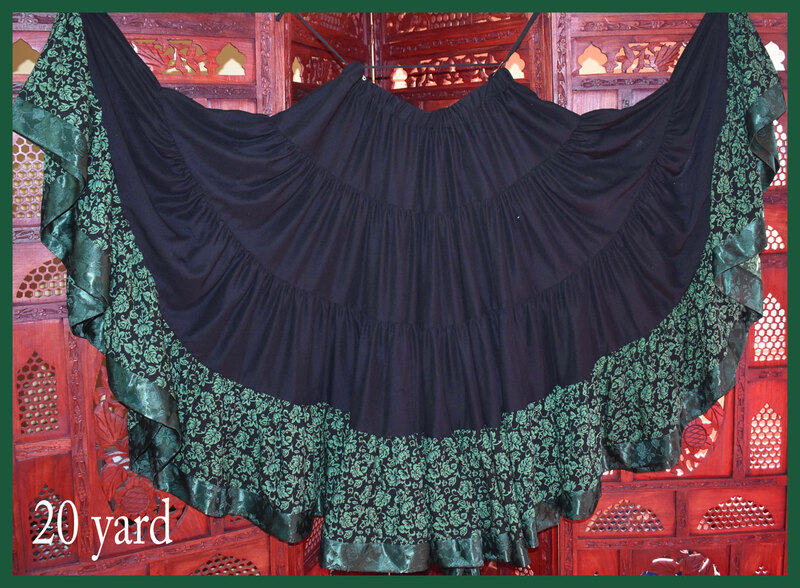 Handcrafted after I receive your order; ships within 7-10 business days. 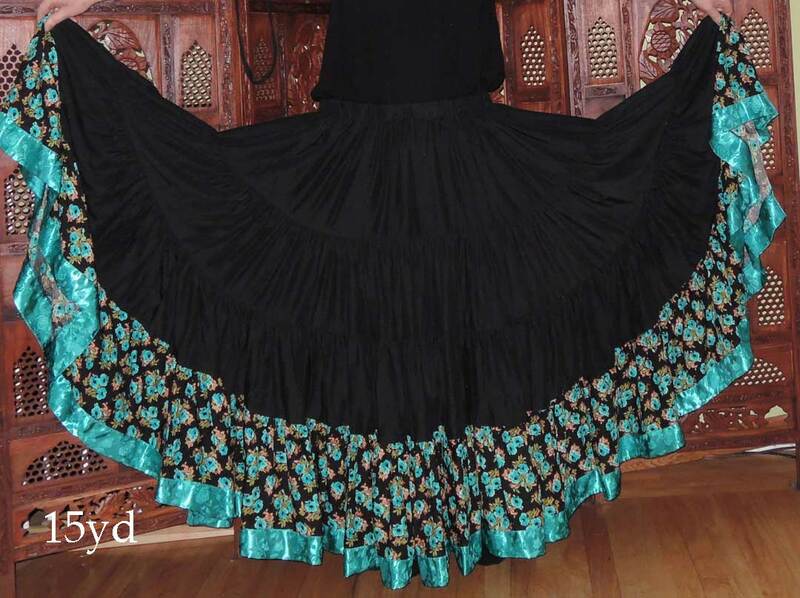 15 yard Turquoise Rosew/Turquoise band skirt work!